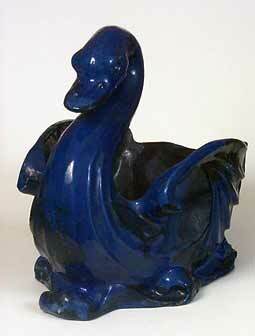 Large Brannam swan - 19½" (495 mm) long, 14" (355 mm) high. A little the worse for wear, but still a spectacular piece of pottery. He holds spare toilet rolls in the Pottery Studio bathroom.